Our beautiful farm is located just minutes Northwest of Grand Rapids, MI, in the heart of Michigan's fruit growing region, known as 'The Ridge.' On 'The Ridge' you will find an abundance of apple orchards, farm markets and cider mills. The proximity of 'The Ridge' to Lake Michigan, combined with the rolling hills and heavy clay soil, make this an ideal place to grow apples and other fruit. 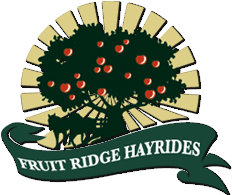 At Fruit Ridge Hayrides, we are happy to offer a variety of old fashion farm activities for you to enjoy with your friends and family. For year-round fun,try a horse drawn hayride or sleigh ride through our woods and orchard. Family reunions, school groups, church youth groups and corporate picnics are always welcome. The most magical time of year is during the Fall Harvest Festival. Young and old alike enjoy family fun with activities such as horse drawn hayrides, u-pick crispy apples and huge orange pumpkins, a 10 acre corn maze, pony rides,farm animals to pet and children's activities. Enjoy the beautiful fall colors and the fresh air while enjoying our picnic area. 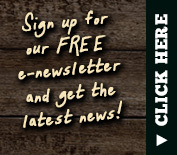 We offer award winning apple cider, delicious homemade donuts and picnic lunch items. In our farm market, you will find picked apples, fancy pumpkins and other fall harvest items such as squash, gourds, decorative corn and corn shocks.